No hostel for UG students. Good quality PGs are available and the cost is according to the PG availability. No food by college outer area canteen is available. Hostels are free and there are 3 hostels. 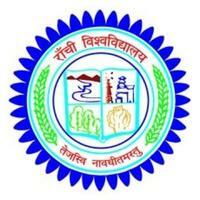 There are a Diwasi hostel and some hostel for st, sc and OBC student at Ranchi University. The quality of food is good and cheap. The quality of classrooms are good, a lab is well furnished. There is no wifi facility available in the college. A hygienic kitchen has been provided in each hostel with large dining halls. The rooms are well furnished. The college has 4(four) ladies hostels accommodating 1400 (one thousand four hundred) and 7(seven) boys hostel with 2500. Both the hostels have round the clock Wi-Fi connectivity and medical facility. Proper hygienic condition and strict supervision are maintained throughout. The institute has deployed twelve medium sized buses so as to save time for students in commuting to and from the institute. The Institute makes all out efforts to bring out the hidden talents of the students and nourishes in them leadership qualities, excellent communication skills, and a developed personality so that they grow up as professionals of global standards to flourish in the professional career. This is also aimed at building their positive attitude and providing them relief from feelings of burden and disappointment if any. The gym has the latest equipment aided by trainers and physiotherapists for guided exercise for students and staff. As made mandatory by law, an anti-women harassment cell is functioning in University with a senior professor as Chairperson and other senior faculty members as members. As per Hon'ble Supreme Court's judgment, the institute ensures a ragging free environment both inside the academic premises and hostels. An anti-ragging cell under the Chairmanship of Prof. (Dr.) B.K. Sarap functions for the prevention of ragging in all its forms. Further, the Cell has senior faculty members as members who counsel the students to be aware of Hon'ble Supreme Court's judgment and how to abide by it.